Sew N' Sew is Waupaca’s edutainment center for sewing enthusiasts. 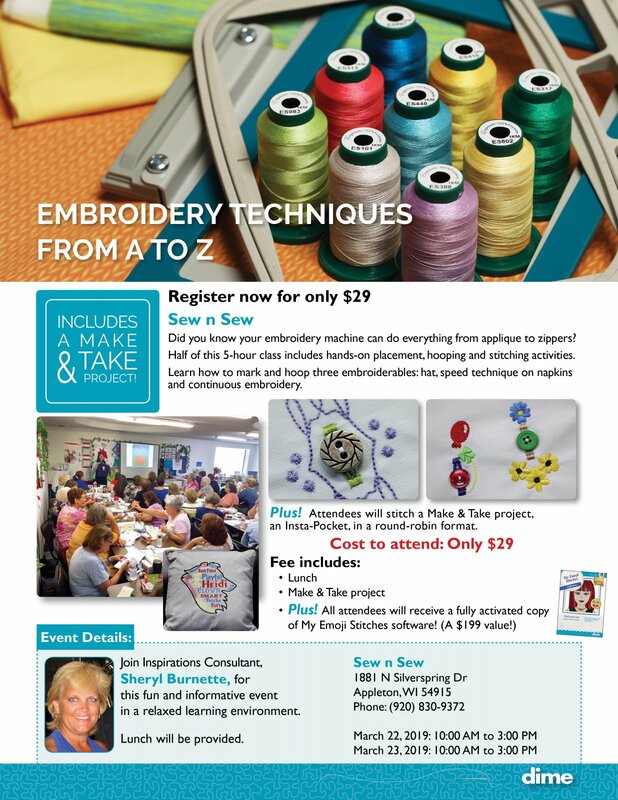 Our friendly and knowledgeable staff is passionate about leading our wide variety of fun and informative classes, which include sewing, quilting, machine embroidery, heirloom techniques and garment construction. As the premier dealer for Husqvarna Viking sewing machines and sergers, we offer unlimited owners classes, included with all machine purchases. Our Goldstar certified technician provides in house service on all models and brands of machines to keep your machines running at peak performance. In addition to sewing machine sales and service, Sew N' Sew carries sewing furniture and embroidery software / designs, as well as notions, books, patterns and top quality fabrics for quilting, heirloom and fashion.